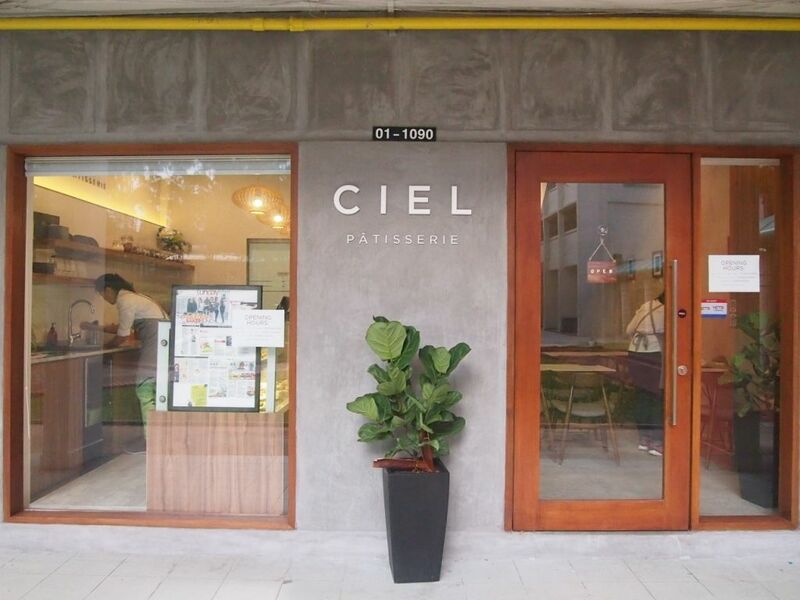 If you're standing on the pavement right next to the main road facing block 146, Ciel Patisserie is located all the way to the far right, round a bend. 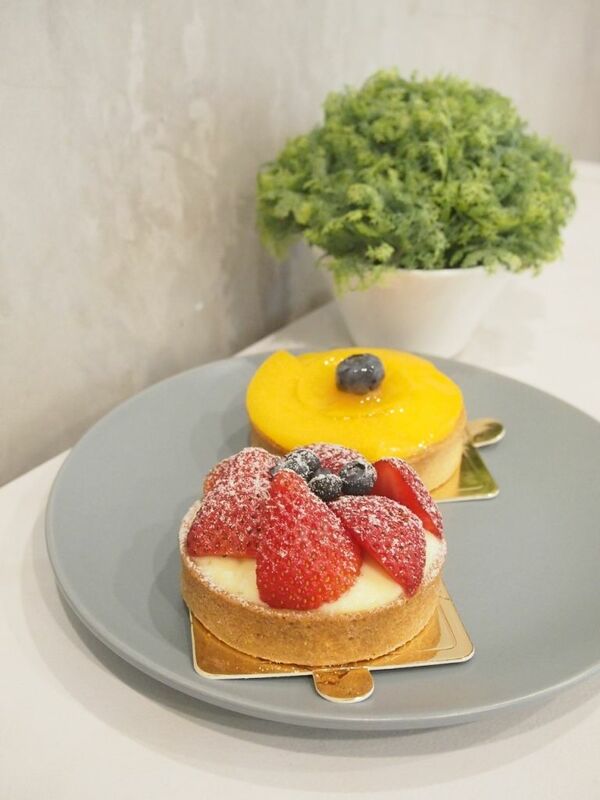 I have had the pastries from Ciel numerous times and I adore their tarts. Sitting inside a well-baked tart crust of the Peche Tart ($4.60) is a mildly sweet vanilla-bean infused pastry cream. The smooth cream and the glazed peaches were quite a good match! 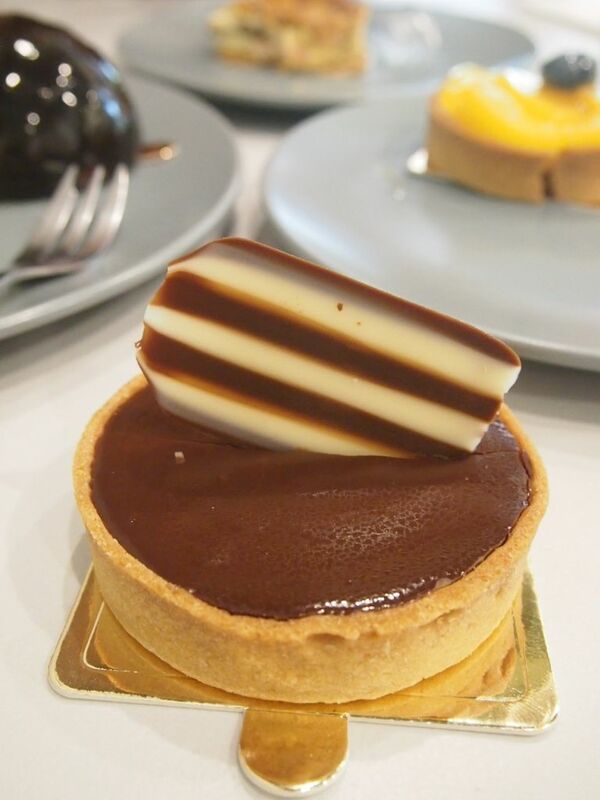 My favourite item at Ciel has gotta be the Chocolate Caramel Tart($4.20) ! I just can't get enough of that luscious chocolate ganache, bed of sea salt caramel and crisp tart crust! I have no problem going through two of this in one seating. The signature Strawberry Shortcake ($5.60) features two layers of fluffy sponge cake cemented by sweet strawberries and light whipped cream. Despite not eating strawberries, I really enjoyed the texture and taste of the sponge cake and cream! 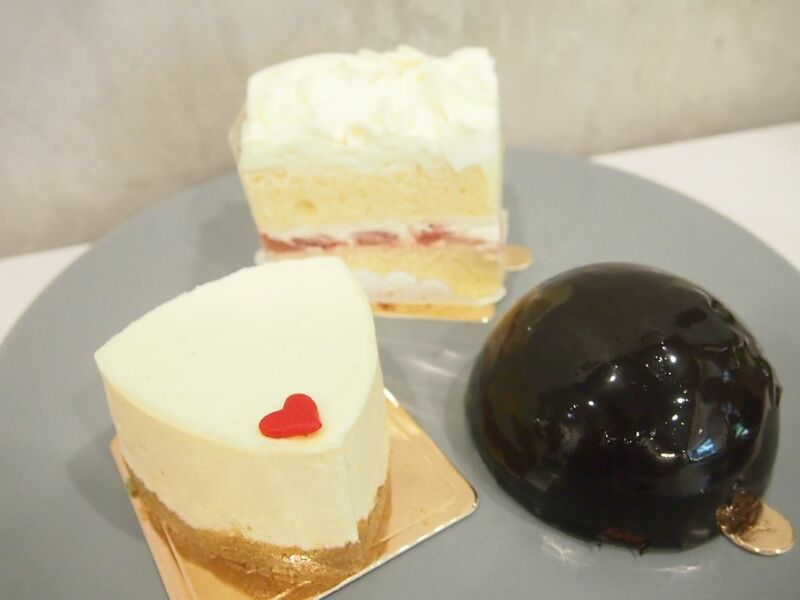 We were looking for a cheesecake option and decided to pick the Scarlet($5.60) which possessed a really thick and heavy cream cheese mousse that we didn't quite take to. One of the bestsellers at Ciel is the shiny and pretty Bombe ($5.80) which sees blueberries tucked away in a rich chocolate mousse atop a hazelnut feuilletine base. Perfect for those seeking a decadent sweet treat. 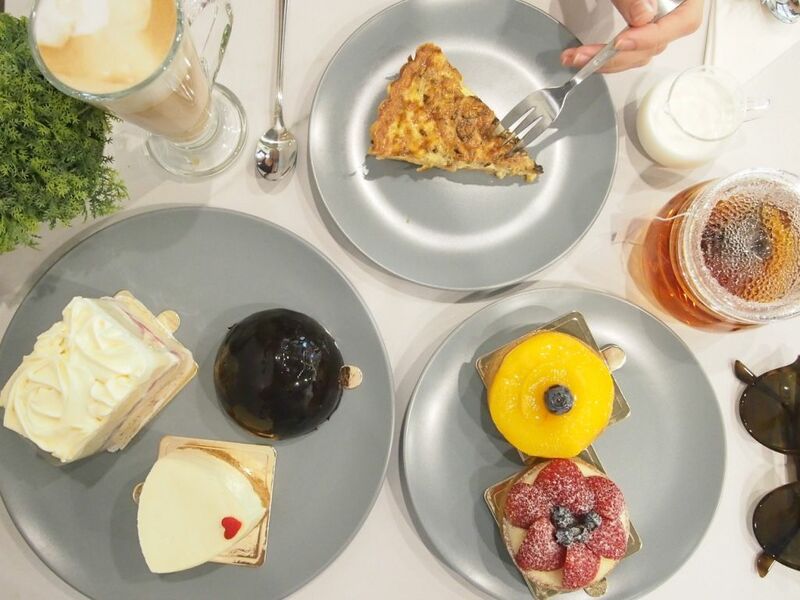 Tea-time in Singapore isn't all that affordable, especially when a slice of cake goes for $7 easily. 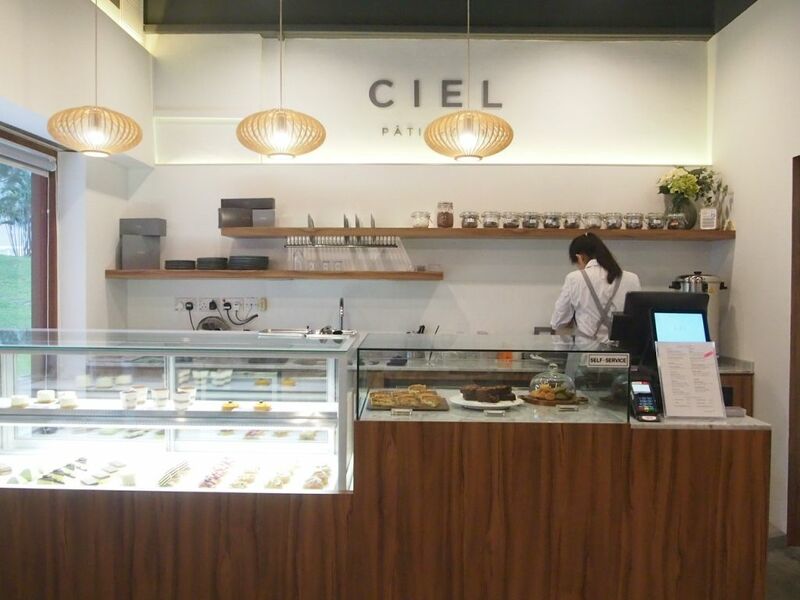 Over at Ciel, drinks are wallet-friendly with teas going at $2.60 and bites ranging from $2 - $5.80. 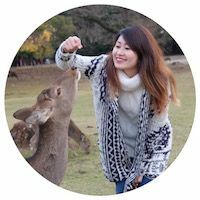 This is definitely the place to visit if you're looking to satisfy your sweet tooth without breaking the bank.